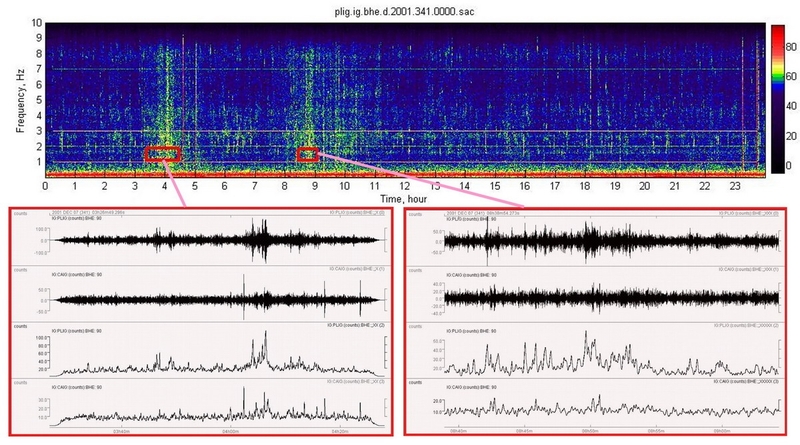 Nonvolcanic tremor (NVT) activity is revealed as episodes of higher spectral amplitude at 1–8 Hz in daily spectrograms from the continuous seismological records in Guerrero, Mexico. 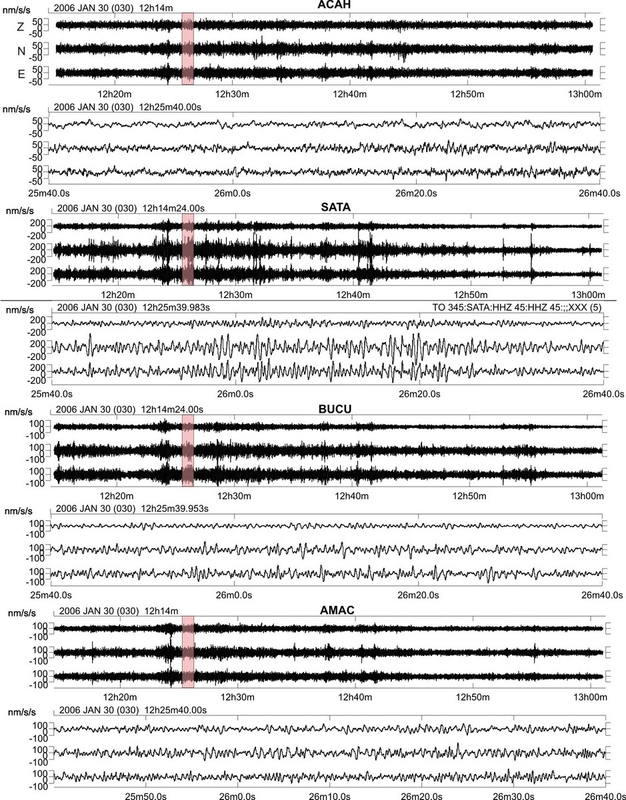 The analyzed data cover a period of 2001–2007 when in 2001–2002 a large slow slip event (SSE) had occurred in the Guerrero-Oaxaca region, and then a new large SSE occurred in 2006. 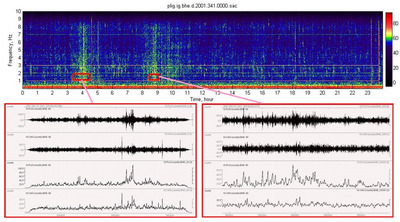 The tremor burst is dominated by S-waves. More than 100 strong NVT bursts were recorded in the narrow band of ~40 × 150 km^2 to the south of Iguala City and parallel to the coastline. 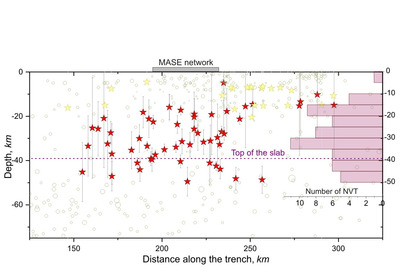 Depths of NVT hypocenters are mostly scattered in the continental crust between 5 and 40 km depth. 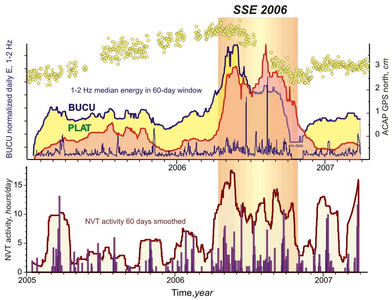 Tremor activity is higher during the 2001–2002 and 2006 SSE compared with that for the “quiet” period of 2003–2005. 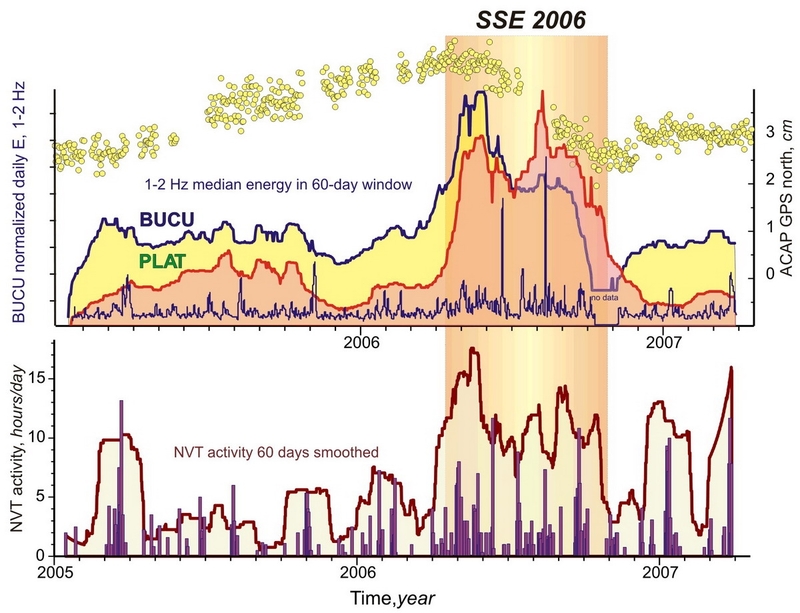 While resistivity pattern in Guerrero does not correlate directly with the NVT distribution, gravity and magnetic anomaly modeling favors a hypothesis that the NVT is apparently related to the dehydration and serpentinization processes. 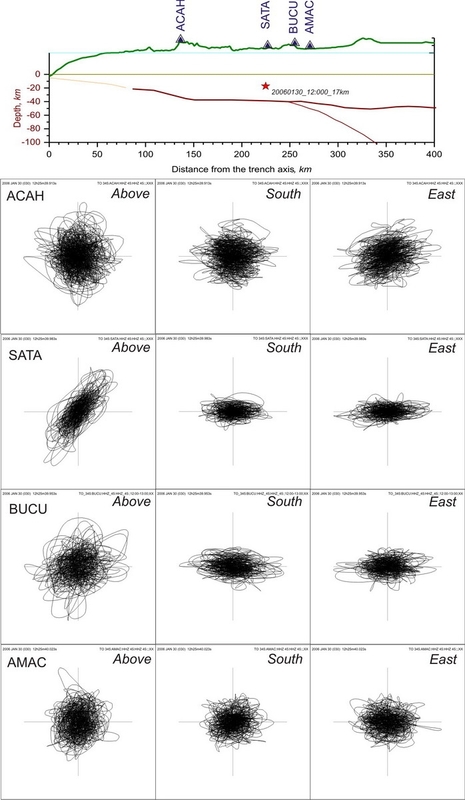 © 2008 American Geophysical Union. Received 4 December 2007; revised 17 February 2008; accepted 28 February 2008; published 4 April 2008. 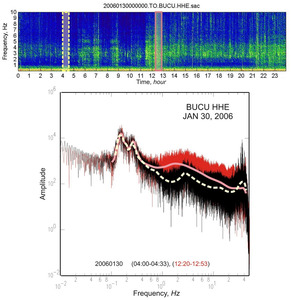 This study is based on the MASE data and partially supported by PAPIIT IN102105, CONACYT 46064, SEP-CONACYT- ANUIES-ECOS M06-U02, and ANR-06-CEXC-005 (COHERSIS) project grants. We thank Ing. 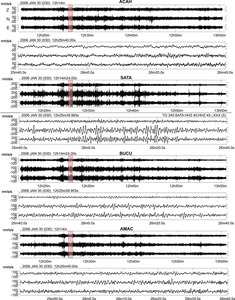 Casiano Jiménez Cruz, SSN (Mexico) for the recent seismic catalog and Kazushige Obara for some suggestions at an initial stage of this study. 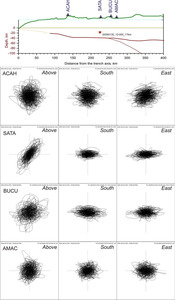 The authors gratefully acknowledge the assistance of the UNAM students in numerous field works during the MASE project. 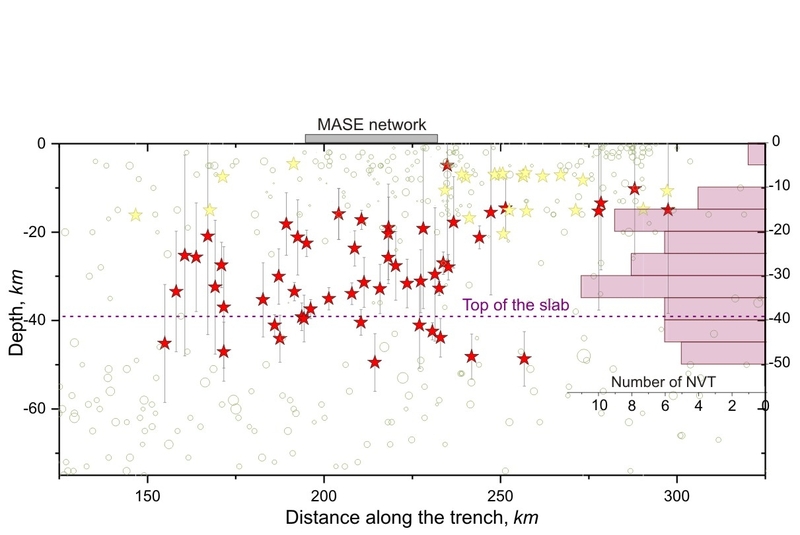 The MASE experiment of the Caltech Tectonics Observatory was funded by the Gordon and Betty Moore Foundation. 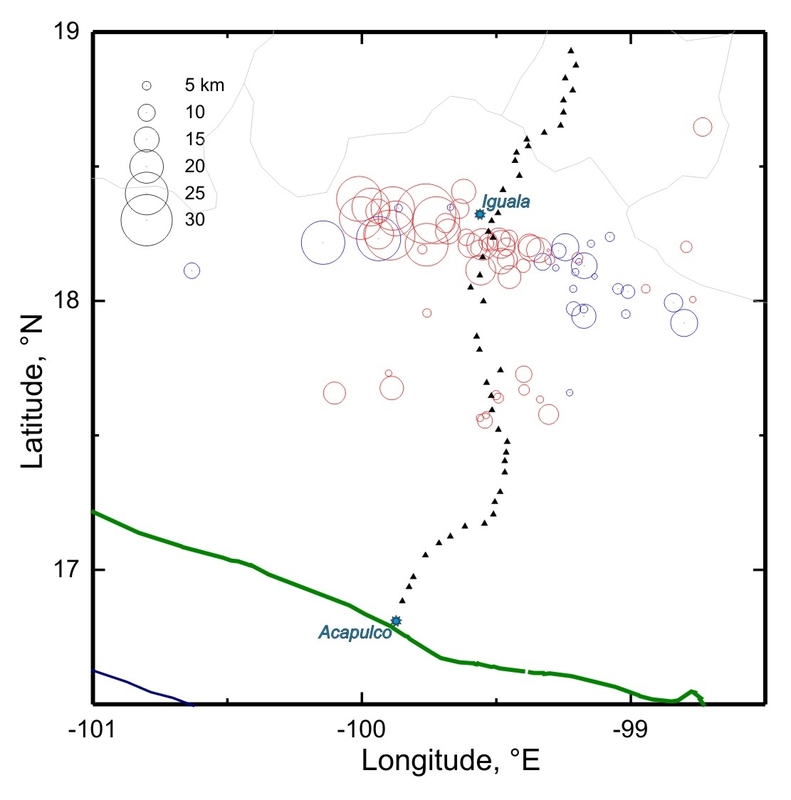 Contribution 82 from the Caltech Tectonics Observatory. 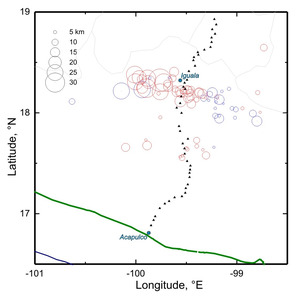 Payero, J. S., V. Kostoglodov, N. Shapiro, T. Mikumo, A. Iglesias, X. Pérez-Campos, and R. W. Clayton (2008), Nonvolcanic tremor observed in the Mexican subduction zone, Geophys. Res. Lett., 35, L07305, doi:10.1029/2007GL032877.